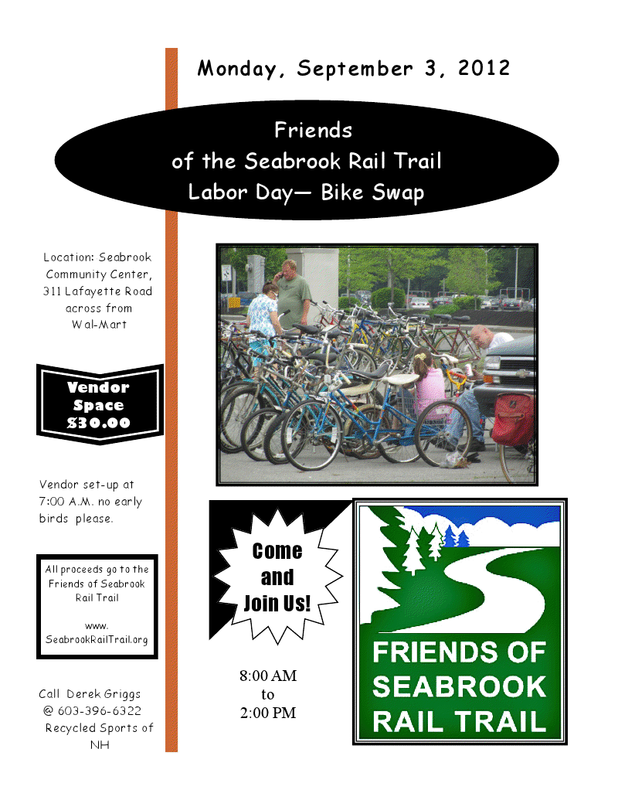 This is the 3rd annual bike swap sponsored by the Friends of Seabrook Rail Trail. In our 3rd year, it is a bike bargain hunter's paradise! Expect great deals on new and used bike-related goods, from complete bikes to small parts. You never know exactly what vendors will bring to sell and what treasures you will find. Don't miss this one-day-only sale. After the sale, spend the day at the beach, only a few miles away!